The crazy weather we’ve been having recently could mean this will be a great winter for skating on frozen ponds around Chester County — or it could mean it will be a winter with no ice at all. One of the best local skating sites is Power Play Rinks (701 Haywood Drive, Exton, 610-458-9160, www.powerplayrinks.com). The site offers weekday public skating Mondays through Fridays from noon-1:30 p.m. Added weekend hours are from 8:35-10:05 p.m. on Fridays and 1-2:30 p.m. on Saturdays. Admission is $8. Another Chester County site for public skating is Ice Line Quad Rinks (700 Lawrence Drive, West Chester, 610-436-9670, www.iceline.info). Hours for public skating are Mondays-Thursdays, 1-2:30 p.m.; Fridays, 1-2:30 p.m. and 8-9:30 p.m.; Saturdays, 2-3:30 p.m. and 8:30-10 p.m. and Sundays, 2-3:30 p.m. Fees are $10 admission and $3 skate rental is $2. The Horizon Riverfront Rink (308 Justison St., Wilmington, Delaware, 302-425-4890, www.riverfrontwilm.com) is entering its third season this year. Hours are 4-9 p.m. Mondays through Thursdays, 4-10 p.m. on Fridays, 11 a.m.-10 p.m. on Saturdays and 11 a.m.-9 p.m. on Sundays. Admission is $8.50 (ages 13 and older) and $5.50 (ages 12 and younger). Skate rental is $4. Premier Orthopaedics Ice Works (701 West Dutton Mill Road, Aston, 610-497-2200, www.iceworks.net) is open to the public every day. Hours for public skating sessions are Mondays-Thursdays, noon-1:30 p.m.; Fridays, noon-1:30 p.m. and 7:30-9:30 p.m.; Saturdays, 2-4 p.m. and 7-9:30 p.m.; and Sundays, 2-4 p.m. Admission is $10 for adults and free for children (four and under) while the skate rental fee is $2. Oaks Center Ice (87 Brower Avenue, Oaks, 610-650-9690, www.oakscenterice.com) has public skating on weekdays from 11:30 a.m.-1:30 p.m., Fridays from 11:30 a.m.-1:30 p.m. and 7:30-9:30 p.m.; Saturdays from 2-4 p.m. and 7:30-9:30 p.m. and Sundays from 2-4 p.m. and 6-8 p.m. Skating sessions cost $7 and skate rental is $3. The outdoor rink’s hours are 1-11 p.m. Mondays through Thursdays, 1 p.m.-1 a.m. on Fridays, 11 a.m.-1 a.m. on Saturdays and 11 a.m.-11 p.m. on Sundays. Skating admission prices are $4 and skate rental is $10. 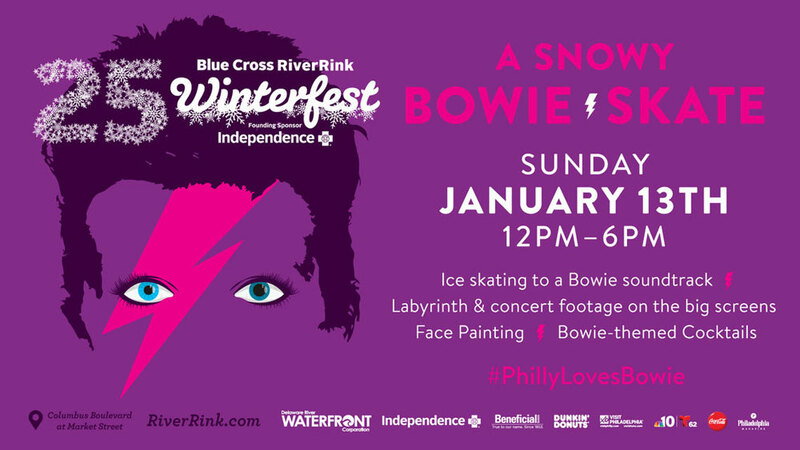 RiverRink has a variety of themed night skates throughout its “Winterfest” season – including a popular one this weekend. 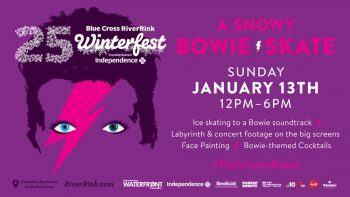 The skating event, which runs from noon-6 p.m., will feature a wide array of Bowie-themed festivities including: ice skating to a Bowie-themed soundtrack; face painting and games; a screening of the movie “Labyrinth;” Bowie concert footage on the screens in The Lodge; and themed drinks and cocktails. Class of 1923 Ice Arena Ice Skating Rink (3130 Walnut Street, Philadelphia, 215-898-1923, http://www.business-services.upenn.edu/icerink) is open for public skating on Mondays, Wednesdays and Fridays from 12:30-2 p.m. and Saturdays from 4:30-5:30 p.m. Fees are $6 while skate rental is $3. 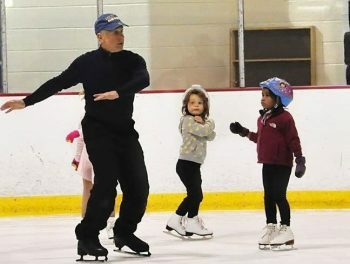 The Rink at Old York Road (8116 Church Road, Elkins Park, 215-635-0331, http://www.rinkoyr.com) hosts public sessions on Fridays from 8:30-10 p.m., Saturdays from noon-2 p.m. and 8-10 p.m. and Sundays from noon-2 p.m. Fees are $10 and the cost to rent skates is $2. 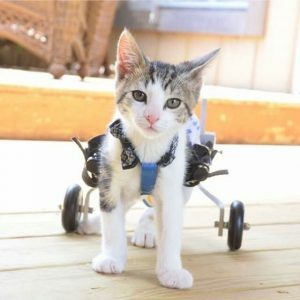 If you’re a pet owner or just a lover of pets in general, there’s an event for your enjoyment this weekend at the Greater Philadelphia Expo Center (Station Avenue, Oaks, 800-677-4677, www.phillyexpocenter.com). From January 11-13, the huge convention hall is hosting the Greater Philadelphia Pet Expo. Admission is $13 for adults, $10 for seniors and military and $6 for children (ages 4-12). As an added attraction, Friday night is “Family Night” with all children under 12 admitted free. There will be a lot of model trains on display and for sale when the “World’s Greatest Hobby on Tour” visits the area for a two-day stop at the Greater Philadelphia Expo Center. The show, which is scheduled for January 12 and 13 from 10 a.m.-6 p.m. and 10 a.m.-5 p.m. on Sunday, will have a wide variety of activities related to model railroading. The event will have 50,000 square feet of huge operating model railroads, more than 200 booths featuring manufacturers and retailers, 100 Trains for kids to play with and a free riding train for kids. Some of the elaborate operating train displays will be Philadelphia N-Trak N Scale Layout, North Penn O Gauge Layout, Allegheny Western Lines HO Scale Layout, Southeast Pennsylvania Garden Railway Society G Gauge Layout, East Penn Traction Club HO and O Scale Traction Layout and Reading Co. Technical & Historical Society HO Scale Layout. There will be demonstrations, seminars and new products throughout the day both days. And, each day from 11 a.m.-1 p.m., Michael Broggie will give his highly popular presentation, “Walt Disney’s Railroad Story, which is based upon his award-winning book of the same name. Tickets for adults are $15 with children (15 and under) are admitted free when accompanied by adult. 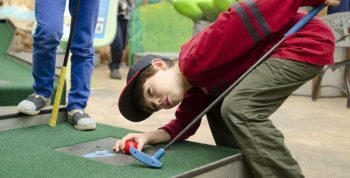 Linvilla Orchard’s “Fore! The Planet,” which opens for the year on January 12, is a highly interactive and playful museum exhibit created by the Academy of Natural Sciences in Philadelphia. This exhibition pairs important environmental issues with the fun of miniature golf. It features 18 unique educational holes on a variety of topics — butterfly metamorphosis, a tropical rainforest, evolution, dinosaur extinction, food chains and more. Kids of all ages can enjoy playing miniature golf while learning about our environment on every hole. The mini-course is open daily from 9 a.m. -5 p.m. Tickets are $6.95 (ages 11 and over) and $5.95 (ages 10 and under). 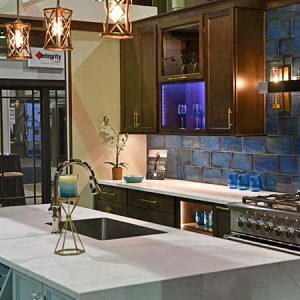 Whether you’re a handyman, a home improvement fanatic or just a tinkerer who likes working on small projects around the house, you should check out the 38th Annual Philadelphia Home Show. The event is running January 11-13 and 18-20 at the Pennsylvania Convention Center (12th and Arch streets, Philadelphia, 215- 418-2003, www.phillyhomeshow.com). The well-attended annual show features a large number of exhibits representing the home renovation and decorating industry. Showcased products and services include roofing, windows, flooring, decking, landscaping, spas, contractors, designers, water, swimming pools, doors, gutters security systems, cabinetry, entertainment systems, appliances, furniture, vacuums and more. Tickets are $13 for adults and $3 for children (ages 6-12). Every Friday and Saturday in January, the Chaddsford Winery (632 Baltimore Pike, Chadds Ford, 610-388-6221, http://www.chaddsford.com) will present “Wild West Murder Mystery Nights” from 6:30-9 p.m. each night. Here is the scenario as posted by the winery – “There’s been a swashbuckling murder aboard The Presage. We’re settin’ out to find that scallywags, and when we do – they’re gonna walk the plank! 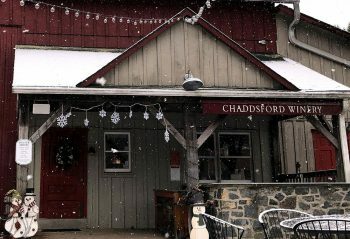 Along with an exciting evening of mystery and suspense, visitors can enjoy heavy hors d’oeuvres and an array of Chaddsford Winery wines. Tickets are $60, and reservations are required. The mouth-watering tastings will be held every weekend in January from 11 a.m.-6 p.m. on Saturdays and 11 a.m.-5 p.m. on Sundays. As an added attraction, live music will be featured on January 12, 13, 19, 20, 26 and 27 from 2-5 p.m. each day. “Grim Philly’s Nightmare Before Christmas Tavern Tour (856-829-3100, http://www.grimphilly.com) will be held January 11, 12, 18, 19, 25 and 26. Guests will be able to revel in little known facts of our holiday past including the season’s pagan roots in Roman, Celtic & German traditions, while learning of medieval, and New World additions in mumming and mistletoe. The tour price of $45 includes guided historic tour of “Grim” Philly, tavern admissions and two “Christmas Drinks.” The tours, which start at 6:30 p.m. on Fridays and 5 p.m., on Saturdays, will depart from 599 Market Street, Philadelphia. There will be birthday celebrations soon in Philadelphia for one of the city’s most famous historical figures — Benjamin Franklin. A number of events celebrating Franklin’s 312th birthday will be staged around Philadelphia’s historic district. Prior to the Franklin birthday celebrations, the Benjamin Franklin Museum National Historical Site (Franklin Court, Third and Market streets, Philadelphia, 215-965-2305,http://www.nps.gov/benjaminfranklinmuseum.htm) usually celebrated Martin Luther King Day by offering free admission on January 15. But this is not a usual year. Because of actions by the POTUS, there is an ongoing partial shutdown of the Federal Government – including national parks. 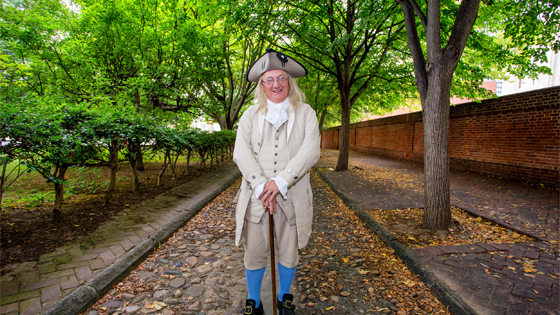 “Benjamin Franklin Tippler’s Tour” (Historic Philadelphia Center, 6th and Chestnut streets, Philadelphia, 215-629-5801, http://historicphiladelphia.org/tipplers-tour) will be held on January 11,12, 18 and 19 and 20 starting at 5:30 p.m. each night. The over-21 set joins a Colonial guide for the Tippler’s Tour with Ben Franklin. It is a rollicking pub crawl with stops for drinks and snacks at several Old City establishments. Every year, the Garden State Discovery Museum (2040 Springdale Road, Cherry Hill, New Jersey, 856-424-1233, www.discoverymuseum.com) presents special programs designed to bring smiles to the faces of its young visitors. On January 12 and 13, the museum will host a program titled “Showtimes for Showtunes.” Show times are 11 a.m., 1 and 3 p.m. each day. 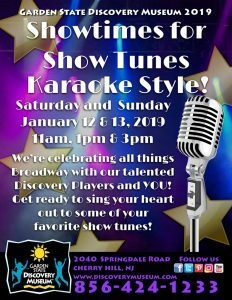 At this event, which is included in museum admission, the museum staff is celebrating all things Broadway with its talented Discovery Players and the audience. 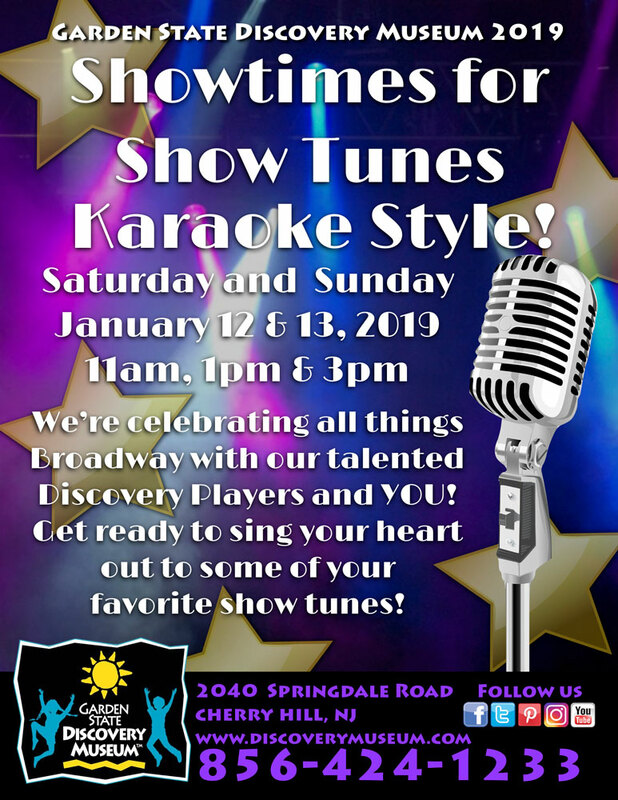 Kids of all ages are invited to sing along with their favorite show tunes. Next weekend’s feature event will be “Sounds of Science” on January 19 and 20 followed by “Community Rocks!” on January 26. Admission to the Garden State Discovery Museum is $14.95 for adults and children 12 months and over and $13.95 for seniors.